literature. The letters of Keats are among the most celebrated by any English poet. 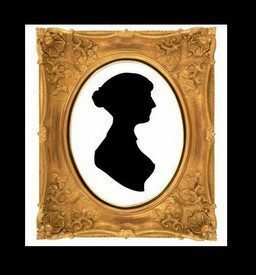 Who was Jane Austen (in case you don’t know…LOL)? Jane Austen (16 December 1775 – 18 July 1817) was an English novelist known primarily for her six major novels, which interpret, critique and comment upon the British landed gentry at the end of the 18th century. That is the short description you will find on Wikipedia. Can you see anything they have in common between the two of them? What does he have in common with these Keats and Austen? Well, I’m sure you know that he portrayed Captain Wentworth in Persuasion in the BBC production of 2007 – a beloved Austen character. He also recorded (in his velvety voice) one of Keats most famous poems – Bright Star as you can see and listen on the video below. You can also find the poem below the video so you can read together with him (if you dare…LOL) Enjoy! If you liked Bright Star – the poem you might like (or absolutely adore) the movie made about Keats short life and the love that inspired such poem. An even greater treat if you take pleasure in Regency Fashion like me – what a dreamy (however sad) movie! You should not miss it. Trailer tease below. That is all for now, little darlings!!! WOW! Couldn’t read along with Rupert as I was captivated by his reading. Then to see the trailer of Bright Star had me wondering why I have never heard of it! I will have to get a copy of the DVD. The fashion was glorious! That was a wonderful post! Thank you! I will have to watch Bright Star. I have no idea how that slipped by me! Keats is one of my favorites. I need to watch that move I mean I absolutely adore Keats!!! I liked your post also and Jane Austen continues to inspire me!